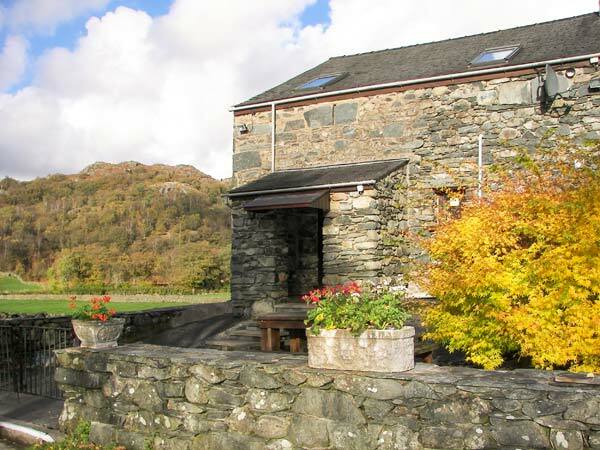 Seathwaite Lodge Cottage is a barn conversion in the hamlet of Seathwaite. The property has a twin on the lower ground floor, with another twin, a bathroom and a king-size double with en-suite on the ground floor. 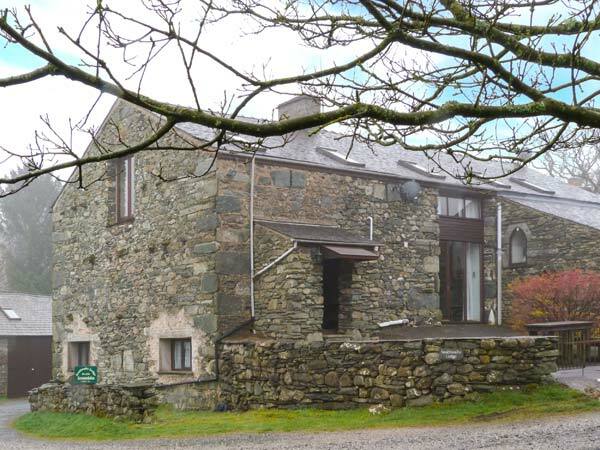 On the first floor is a kitchen and a sitting room with dining area, gas fire and wonderful views. Outside is off road parking and a patio. Seathwaite Lodge Cottage is next door to the village pub, a perfect tonic after a day out walking in the beautiful scenery this area offers. Electric central heating with gas fire. Electric oven, gas hob, microwave, fridge, freezer, washing machine, tumble dryer, dishwasher, 4 x TVs with FreeSat, WiFi (limited bandwidth), payphone. Fuel and power inc. in rent. Bed linen and towels inc. in rent. Travel cot and highchair on request. Off road parking for 3 cars. Lockable bike storage. Front patio with furniture. Sorry, no pets and no smoking. Shop 2 miles, village pub next door. Note: No mobile reception in Seathwaite. Note: Cottage may be unsuitable for guests with limited mobility due to layout.